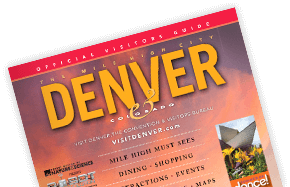 Denver Arts Week, Nov. 1–9, 2019, is a nine-day celebration of all things art in The Mile High City, featuring more than 300 events at a wide variety of art galleries, museums, theaters and concert halls, many of which are deeply discounted. Please check back for updates on events and activities. Find the pulse of Denver's vibrant creative community. Nov. 3 | Denver's best museums are open late and admission is FREE! Nov. 4-11 | Don't miss Denver's largest fashion showcase, featuring designers, local boutiques, national brands, hair stylists, makeup artists and models. Stimulate young minds and create a lifelong love of the arts. Art Smart is a week of educational experiences led by the galleries of Cherry Creek North.